Features history from both the Upper and Lower Chehalis Tribes and the Cowlitz Tribe. A display is devoted to Mary Kiona (1855?–1970), niece of Cowlitz Chief Scanawa. At the age of 6, she began weaving the intricate cedar root baskets of her tribe. The museum features some of her baskets, which she continued weaving until her death. In her lifetime, she saw the coming of steamboats, trains, automobiles, and jet planes. Roy I. Wilson, a Cowlitz Tribal Elder and medicine wheel educator has donated several items to this room, and our gift shop features his books. A diorama depicts Chehalis Tribe life along creeks and rivers and in one of the longhouses used during the winter. Made of cedar planks with the ends facing the water, several families shared cooking fires and other domestic duties. Mail service began in Lewis County in 1851. 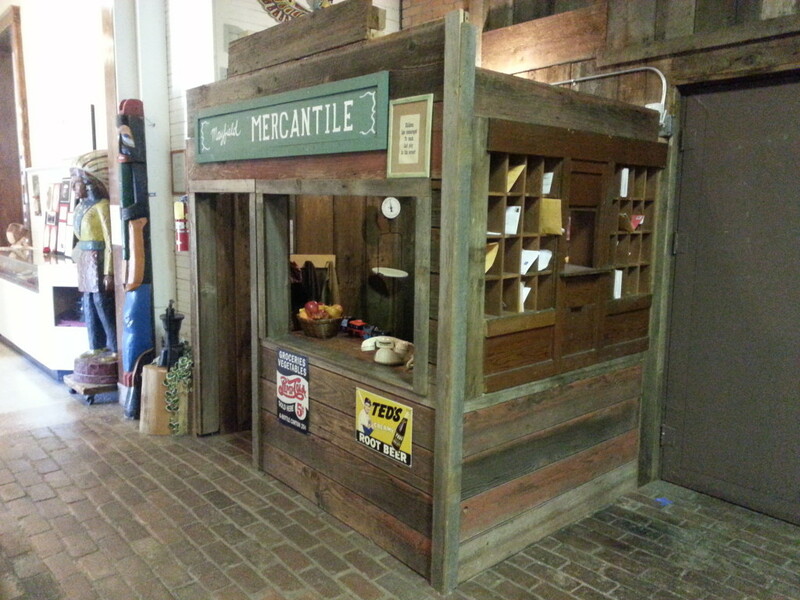 Most early post offices were in individual’s homes. Donation Land Claims were 320 acres at the smallest, so early settlers usually established the post office in their own homes before platting their towns for newcomers. Eastern Lewis County’s first settlers hung oilcloth or canvas sacks from a post by the road in front of their property. The mail carrier picked up all of the sacks on his way to town, where the postmaster distributed the mail. The carrier then re-distributed the sacks on the way home. In the first few years, each man was expected to take a turn as mail carrier. When Northern Pacific Railroad decided to build at Newaukum instead of Chehalis, local businessmen went to work. Following a tip—most likely from Judge Obadiah McFadden—that trains had to stop for red flags, the businessmen, most notably William West, took turns waving a piece of red bunting, forcing trains to make stop daily in Chehalis. The result: this depot, dedicated in 1912 and used by the railroad until 1972. Before central heating, families converged in the kitchen as the warmest room in the house. The wood fire range stove was often used for heating the home as well as for cooking. A large flour sifter, conveniently built-in to the cupboards, made flour finer and removed weevils and other undesirables. The size of the sifter is noteworthy for its size. Mom baked all breads, biscuits, pie crusts, everything from scratch, so a large amount of this important staple was always on hand. A sewing machine and writing desk in one dominates one wall of this display. At this time, mom still made all or most of the family’s clothes; as letter-writing was still the main form of communication, an area for this purpose was not uncommon in homes. These shops were extremely important to the logging industry. Saws and chains had to be sharpened one tooth at a time, and against three separate angles per tooth. This was a very skilled process requiring the filer to change the pressure he exerted against the file several times during the sharpening process, as well as changing the type or size of the file used. Anvils, hammers, and depth gauges were just a few of the many tools required for this job. These men sharpened saws, reshaped saw teeth, straightened bent or curved saws, and ensured all teeth were even for best cutting. 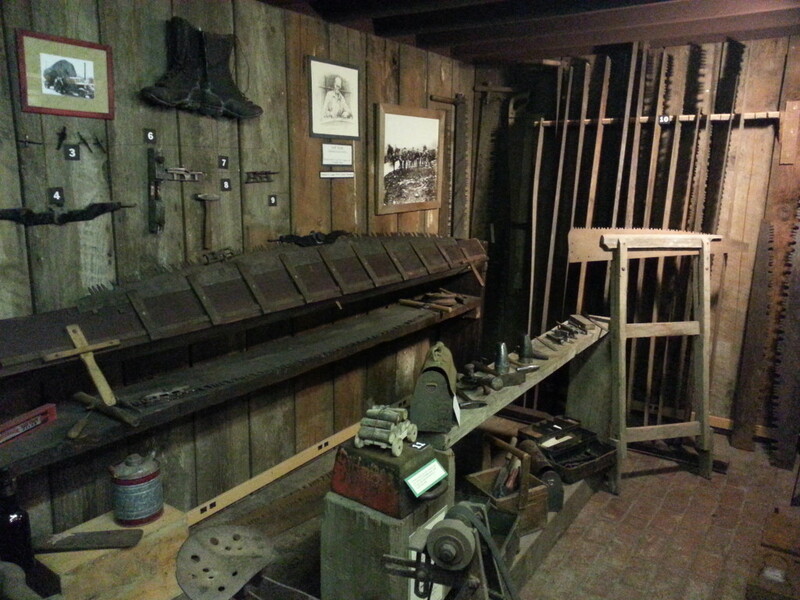 The “village smithy” was responsible for many jobs in pioneer towns. Whereas in larger cities, blacksmithing separated into specialized areas: a farrier shod horses, a bladesmith made knives, a locksmith made and repaired locks, and a gunsmith made gun parts; in small towns, the blacksmith performed all of these duties and more. Often the local hardware store was also the blacksmith’s shop. In an agricultural area like Lewis County, the smithy made and repaired horseshoes, axes, knives, plowshares, and any other iron items necessary. Once railroads allowed factories to produce and ship tools in large quantities, the blacksmith’s job became creating iron elaborate staircases and fences for the wealthy. An example of a small country store inhabiting each small town. The stock in these stores varied depending on their location and their proximity to specialty stores such as for hardware or farm equipment. 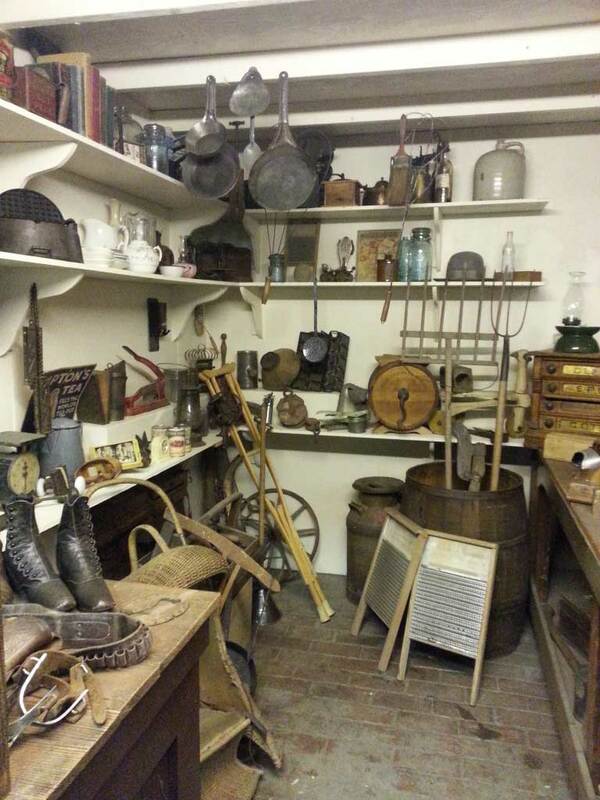 Usually called “general stores,” they carried canned fruits and vegetables, spices, salt, soda, bulk items like rice, beans, onions and potatoes in barrels or bins, tobacco, cans of lard, flour and sugar in cloth bags, kerosene for lamps. Some stores carried fresh meat, but as there was no refrigeration, these were the exception. Families usually got dairy items from their own farms or traded neighbors for them. Stores sometimes carried sewing supplies and cloth, long underwear for men and women, stockings, shoes and small hand tools such as hoes or shovels. One of the exhibits located in the Lewis County Historical Museum is a HO Model Train exhibit depicting railroading in Lewis County around the early 1970’s. Highlighting the major communities located in the county and the principle rail line that ran from Chehalis to South Bend and Raymond. Not only does it highlight the main locales and stopping points, but numerous communities and towns along the way such as Littel, Pe Ell, Doty, and many others. The main exhibit area illustrates the abundant industries that still exist in Lewis County and some buildings that are no longer here including the rail lines that still serve the area and just pass through the county. 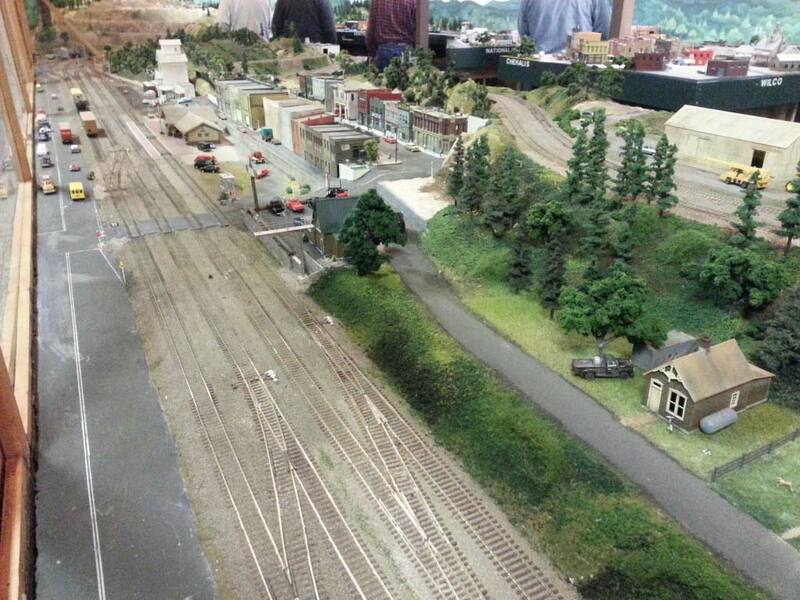 The exhibit was built and is maintained by the Lewis County Model Railroad Club. 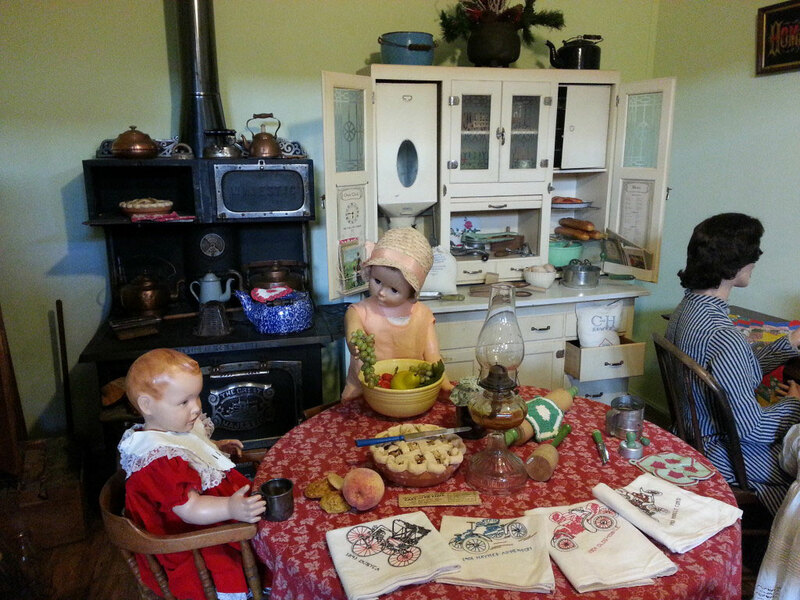 They meet at the museum on Friday afternoons from 3:00 to 7:00 pm to operate or work on the display. The entire exhibit was built and is constantly expanding by donations and fundraisers put on by the Club. It also includes push button controls for the kids to operate and watch a train traverse the track in the display. In progress is a story board located on the face of the display telling about the different scenes and industries. In the future there will be more animation operated by push buttons for the Guests information and enjoyment.